Is the Needle Ready to Move for TheStreet, Inc. (NASDAQ:TST)? Smart investors are constantly on the lookout for a bargain when it comes to stock picking. 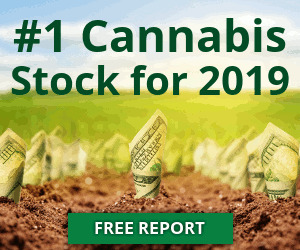 As of late, investors have been taking a second look at shares of TheStreet, Inc. (NASDAQ:TST). During recent trading, shares saw a move of 0.41% hitting a price of $2.47. Sometimes the stock market can be very confusing, even for the most seasoned investors. Even when expectations are met as predicted, the market may decide to move otherwise. This can cause uncertainty and second guessing. Keeping up with historical data as well as short-term and long-term trends may be very helpful. Over the past week, TheStreet, Inc. (NASDAQ:TST) shares have performed 6.93%. Pushing back over the last quarter, shares are 17.62%. Looking at stock performance for the past six months, shares are 13.30%. Since the start of the calendar year, shares have performed 21.67%. Let’s take a quick look at some possible support and resistence levels for the stock. According to a recent spotcheck, company TheStreet, Inc. (NASDAQ:TST) have been seen trading -0.40% away from the 50- day high. On the opposite end, shares have been trading 17.06% away from the 50-day low price. Taking a wider perspective, shares have been recently trading -1.20% off the 52-week high and 64.67% away from the 52-week low.